Bouncy jelly with concentrated plum wine syrup! 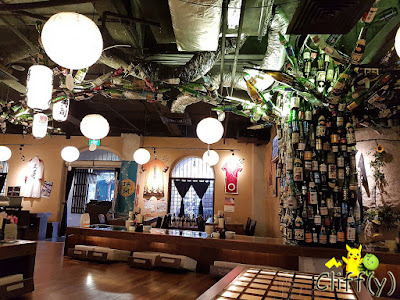 A Japanese pub that serves quite a huge variety of dishes and beverages, Tomo Izakaya at Clarke Quay has got an interesting vibe with an eye-catching decoration of a tree made of bottles inside the establishment. One fine Saturday evening, I had an early dinner at around 6.00pm. 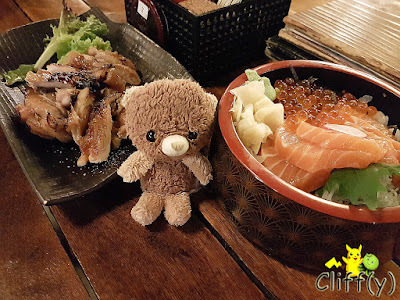 My little bear was caught between chicken and salmon. 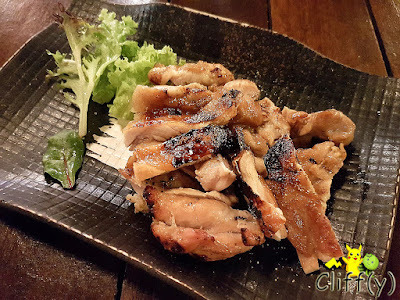 I enjoyed the grilled chicken topped with Sichuan pepper. The white meat was tender with quite a nice smoky aroma that whetted my appetite. Having said that, halfway through eating the side dish, my tongue started to get coated with its salty taste, so I decided to eat it with rice. It could've certainly been better with slightly less salt. I was expecting a Japanese rendition of seafood noodle, of course, but what came to the table somehow tasted more Chinese than Japanese. It wasn't bad, really, although it could also use a bit less salt. The tonkotsu (lit. 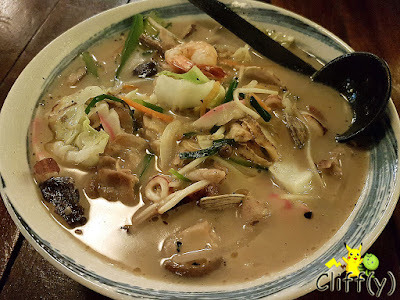 pork bone) broth was mildly creamy, hosting seafood items such as shrimps, squid, scallops and fish cakes. Oyako don means 'parent-and child rice bowl', which is commonly known as a comfort food featuring chicken and egg. 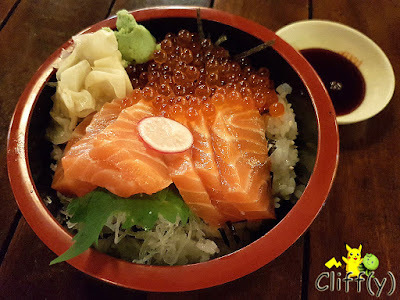 What I had for dinner, however, was a bowl of rice topped with raw salmon slices with salmon roe that were fresh enough. The rice could use more vinegar though. 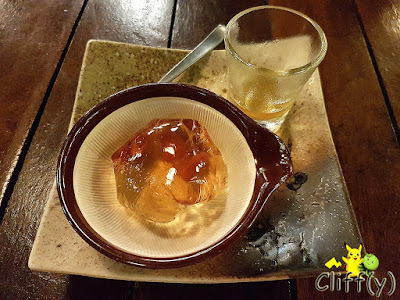 The moment I saw from the menu that the restaurant offers plum wine jelly, I knew I had to order that for dessert. 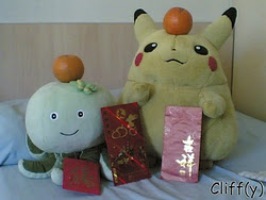 The golden-coloured jelly ball had no taste at all, but its gelatinous texture was delightful. Even though the concentrated plum wine syrup was satisfyingly sweet, I thought it was a tad too thick. Service was quite slow even though the pub wasn't busy when I was there. The only thing that appeared quickly was the bill after calling for it. Pika's advice: An interesting dish that you may want to consider is Ikasumi Fried Rice, which is squid ink fried rice served with poached egg. You can get it for S$15.50. *Prices quoted are subject 10% service charge and 7% GST.